Includes hood, jacket, pants, and gun cover. Elastic and drawstring in pant waist. 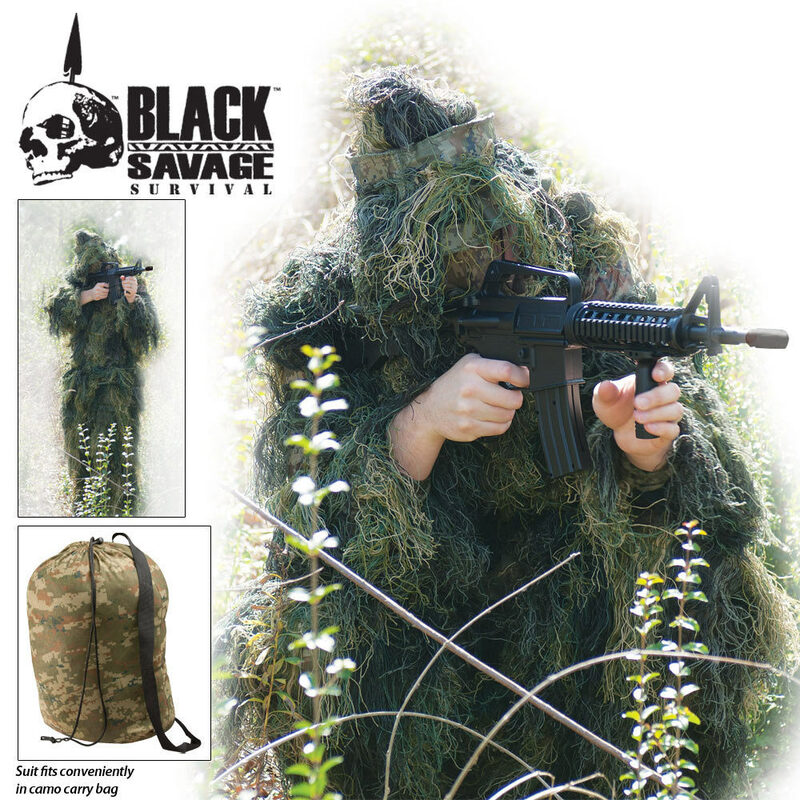 Ghillie suits are the ultimate in sniper and hunter camo! Featuring a classic woodland pattern, our suit includes the hood, jacket, pants, and rifle cover. Made of fire retardant materials. A carry pouch is included for easy transport of the entire suit. The suit is fine for light duty hunting. The suit is fine for light duty hunting.The base material is not burlap, but a spandex type which is camo printed. seems sturdy enough. Okay. I was a little skeptical when I saw a Ghillie suit for such a low price. But when I opened up the box to retrieve it, it was astonishing quality. The ones at my local hunting store weren't nearly as amazing as this. If your a hunter/airsofter... GET IT.